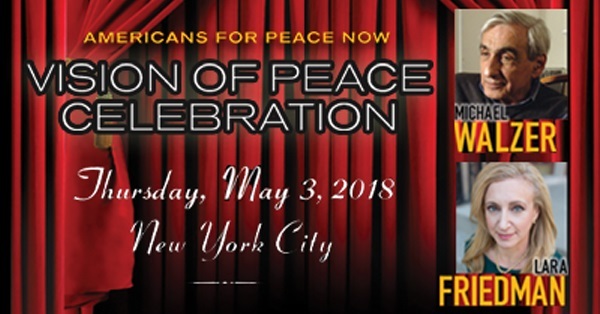 I was delighted when Americans for Peace Now asked me to serve as a Co-Chair for our upcoming "Vision of Peace Celebration" on May 3. I have served on the board of directors of this important organization for many years, alongside my good friend Michael Walzer. I can't think of anyone more deserving than Michael to be recognized by APN. 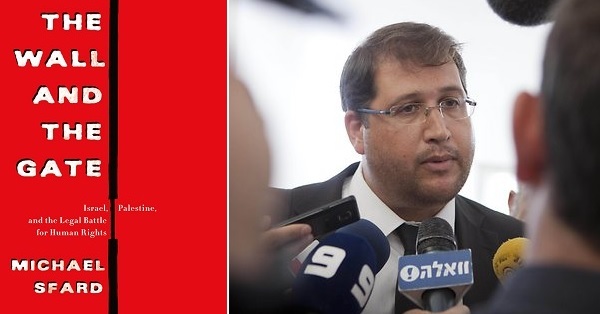 His writings have provided the road map to lead us to a just solution for Israelis and Palestinians, one that is humane, moral and secure for all. And what a wonderful choice in selecting Lara Friedman to be honored alongside Michael. 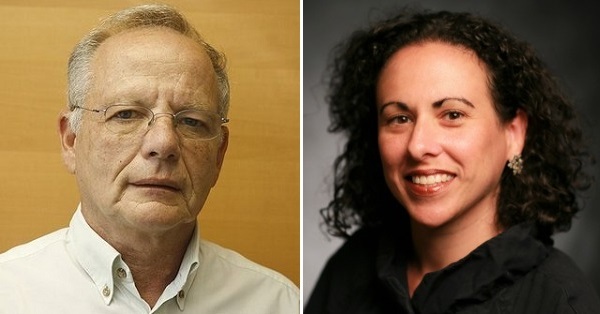 Lara is one of the most indefatigable, smart, and accomplished people with whom I have worked. While serving as APN's Director of Policy and Government Relations, her research, reports and policy work were critical to APN's visibility and success on Capitol Hill and informing and influencing foreign policy. 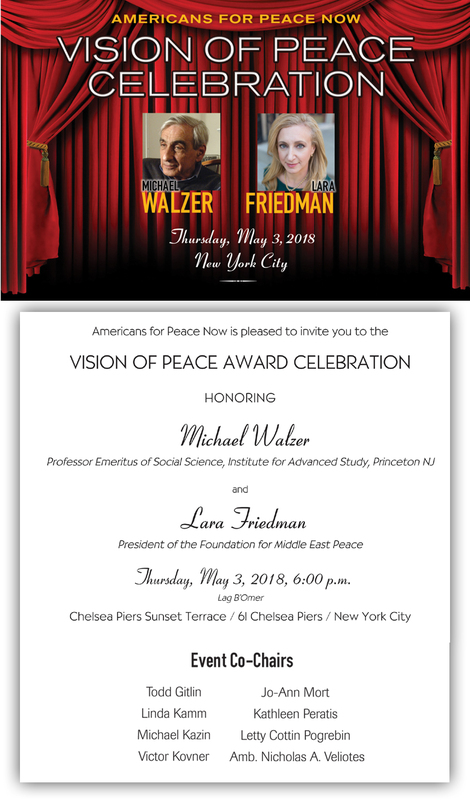 It will be a fantastic opportunity to share a memorable evening with friends, recognizing the important work and accomplishments of two uniquely thoughtful and dedicated people - Michael Walzer and Lara Friedman. 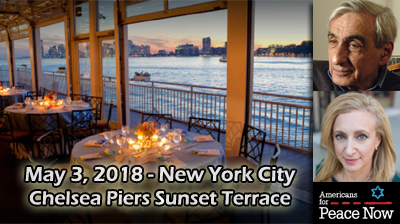 I hope I'll see you there!! 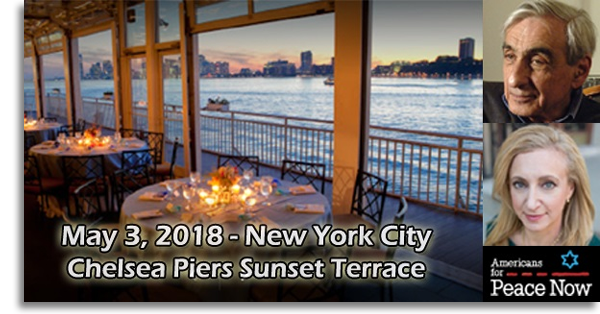 If you aren't able to attend, you can still join the celebration and congratulate the honorees, recognize the work of APN, or send a message of peace that will be shared that night in our tribute presentation. Just return the response card with your contribution and your message. Middle East Institute Ballroom, 1319 18th Street NW, Washington, D.C. 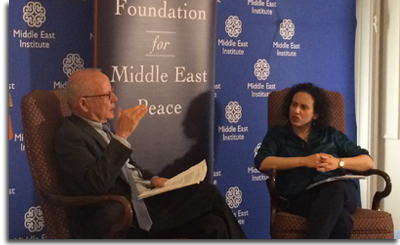 Veteran Israeli journalist Akiva Eldar of Al-Monitor spoke at the Middle East Institute in Washington, DC on February 20, in discussion with APN’s Debra Shushan. The focus of the event was recent steps towards annexation of the West Bank and the state of the settlement enterprise in the Trump-Netanyahu era. 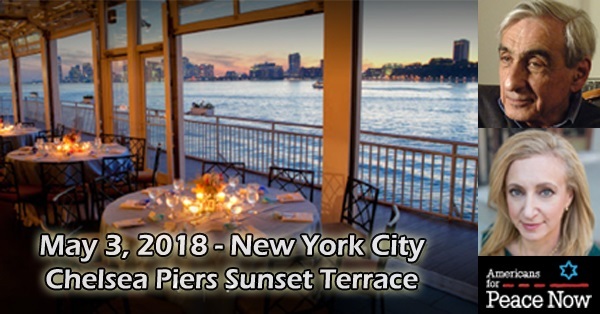 Mark your calendars, and make your travel plans, to be in New York City on May 3 (Lag B'Omer) for APN's special event at the Chelsea Piers Sunset Terrace in New York City. Honorees will be Michael Walzer, renowned political theorist, and Lara Friedman, President of the Foundation for Middle East Peace and former APN Director of Policy and Government Relations. 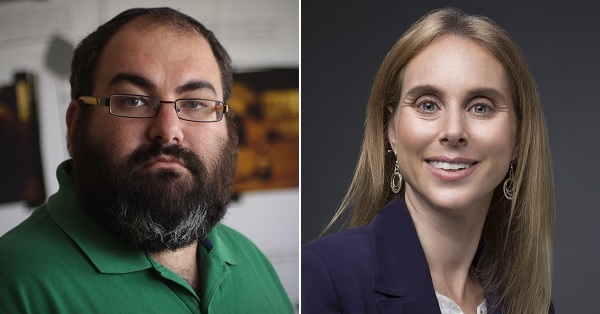 Feb. 20 in Wash DC: "Israeli Settlements & Annexation in the Trump-Netanyahu Era"
Join us for a book reading and discussion with Israeli human rights lawyer Michael Sfard and Lara Friedman, President of Foundation for Middle East Peace. Book signing reception will follow the discussion. The book will be available for purchase. 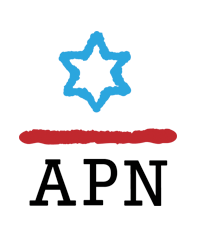 APN’s Ori Nir on how 1967 shaped Israel's peace movement. 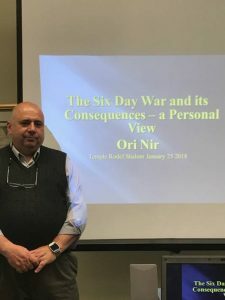 APN’s Ori Nir spoke on January 26th at Northern Virginia’s Temple Rodef Shalom on the Six Day War of 1967, the opportunities it provided for Israel to reach peace with its neighbors and on the way in which the 1967 war the 1973 Yom Kippur War and the 1982 Lebanon War shaped Israel’s peace movement.